In 1962, President John F. Kennedy signed a proclamation which designated May 15th as Peace Officers Memorial Day and the week in which that date falls as Police Week; a time to give special recognition to law enforcement officers who have lost their lives in the line of duty for the safety and protection of others. On Monday, May 19, 2014, the Middleton Police Department is honored to partner with Modern City Entertainment to present "Heroes Behind The Badge: Sacrifice & Survival," a full-length documentary film featuring harrowing stories of fallen officers and focusing on incredibly inspiring stories of those who have been critically injured in the line of duty and have survived against all odds. Heroes Behind The Badge: Sacrifice & Survival not only tells the stories of brave officers who have laid down their lives in the line of duty, but also stories of the countless officers each year who are physically disabled, many of them permanently, in violent confrontations. The film will be shown at the Middleton Performing Arts Center, 2100 Bristol Street in Middleton at 7:00pm. Doors will open at 5:30pm and light refreshments will be available for free. The event is open to the public, and law enforcement officers and family and friends of officers are all encouraged to attend. Advance tickets are available for a donation of $15 at www.MiddletonPD.com or at the door for $20. Proceeds from the event, as well as any tax-deductible donations made during this event, will be given to the National Law Enforcement Officers Memorial Fund (http://www.nleomf.com) and the Wisconsin Concerns of Police Survivors (http://www.wicops.org). The event flyer is attached in PDF and JPG form for printing, as well as sharing on your websites, social media, etc. and the official movie trailer is below. - “Incredibly well done documentary, done with respect and heart. Extremely moving and personal. A documentary that I hope everyone will see." - "A humbling and awakening film"
- "Thank you for opening my mind. I can never take a police officer for granted again." - "About time we recognize our heroes." - "It humanized officers and their families in a very real way." - "This movie touched my heart. There wasn't a dry eye in the house." 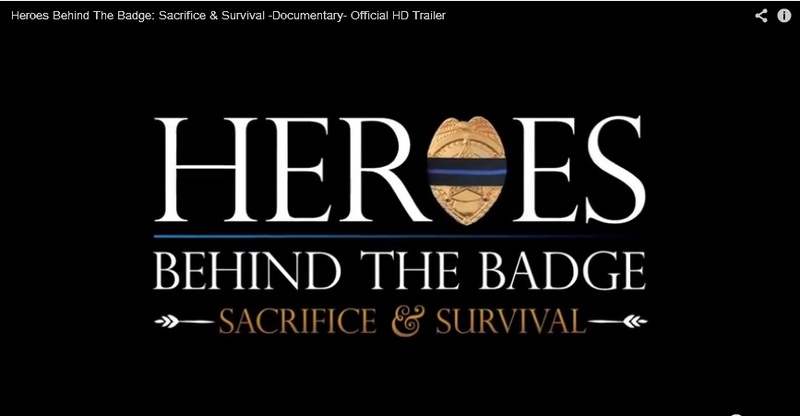 On Monday, May 19, 2014, the Middleton Police Department is honored to partner with Modern City Entertainment to present " Heroes Behind The Badge: Sacrifice & Survival [http://heroesbehindthebadge.com/] ," a full-length documentary film featuring harrowing stories of fallen officers and focusing on incredibly inspiring stories of those who have been critically injured in the line of duty and have survived against all odds. Heroes Behind The Badge: Sacrifice & Survival not only tells the stories of brave officers who have laid down their lives in the line of duty, but also stories of the countless officers each year who are physically disabled, many of them permanently, in violent confrontations. The film will be shown at the Middleton Performing Arts Center, 2100 Bristol Street in Middleton at 7:00pm. Doors will open at 5:30pm and light refreshments will be available for free. The event is open to the public, and law enforcement officers and family and friends of officers are all encouraged to attend. Advance tickets are available for a donation of $15 at www.MiddletonPD.com [http://www.middletonpd.com/] or at the door for $20. Proceeds from the event, as well as any tax-deductible donations made during this event, will be given to the National Law Enforcement Officers Memorial Fund ( http://www.nleomf.com [http://www.nleomf.com/] ) and the Wisconsin Concerns of Police Survivors ( http://www.wicops.org [http://www.wicops.org/] ).